For special units of the strategic missile forces. Size: 11×7×2.5 cm Weight: 51 g * The manufacturer reserves the right to make changes in design, materials and configuration of the products without prior notice to the customerPouch for 10-cartridge shop BCC on silent castle Mount: two built-in clips. For mounting on a classical system PALS/MOLLE need two cells wide and two horizontal rows of cells in height Silent and secure locking Due to the special shape of the valve, the contents of the pouch protected from ingress of water and dirt At the bottom there is a grommet for drainage water Material: Cordura® 1060d REVIEWS: The rules of using the UniClick pouches Plus What UniClick? 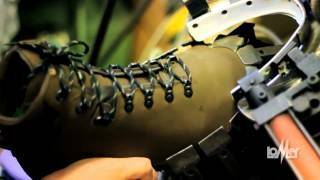 Choose and order Lomer shoes trekking Giau olive. Worldwide shipping. Australia, Japan, South Korea, United Kingdom. We ship to all islands including Antigua, Barbuda, Great Bird, Green, Guinea, Long, Maiden and the York Islands. Easily at the cheapest cost.